Home » Astrology » Moonlight Madness … Or Genius?! Despite being the closest “planet” to us here, on Earth, we are still held in awe by the many mysteries surrounding the Moon. Ask any big city police officer or ER nurse when the most hectic time for them is in their job, and you are bound to get the same answer: during a Full Moon! Nobody can explain why the Moon’s fullness effects human passions the way that it does, but, looking at statistical evidence, it is hard to refute that it does impact us. In many ancient beliefs, people thought that the Moon housed the spirits of the dead, waiting to come back to Earth. It was believed that the Moon increased in light as more souls resided there waiting to reincarnate. As the moon waned from Full to New, it was believed that those souls, held in transition, were born again to this world. For witches, the Moon is either a symbol of the Goddess or the Goddess, herself, depending on the perspective of the witch you’re talking to. We identify the New Moon with the Maiden. 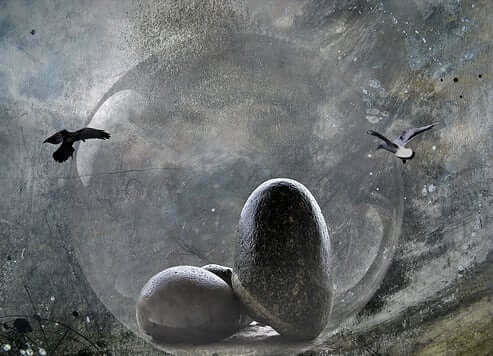 The Full Moon is symbolic of the Mother aspect of the Goddess, and the Dark Moon (the phase when the sky seems devoid of any Moon light) represents the Crone. This mystery and fascination is easily explained through the lunar associations in Magickal Astrology. The Moon rules over our emotions, unconscious, and dreams. It also has dominion over intuition and magick – two endlessly fascinating topics in their own right! Even the ancient belief that the Moon housed the spirits of the dead can easily be explained through its magickal associations. The Moon rules over the astral plane, which in some traditions of magick is where certain types of spirits reside. The types of spirits that are classified as residing on the astral plane vary from tradition to tradition, but most magickal people agree that the astral plane is a spiritual realm in one form or another. Even the most devoted scientist could find real value by learning a little about Magickal Astrology and Magickal Timing. Next time you find yourself at a loss to explain a certain phenomenon in your life, consider turning to astrology for the answer and see if it helps bring the unconscious truth, which eludes you, fully into your consciousness. Do Witches Dance Naked Under The Moon?